to periodic times. It is seen that it is not benefited from alternative natural nourishment resources like cultuıre vegetables and fruit with their important features and effective nutritive value. In our opinion, this article will be useful for mentioning the importance of the mushroom beside the vegetables and fruits which are vital for our life. It will be useful to expose the medical features, nourishment content and effective nutritive valu and effective nutritious features of mushroom. Furthermore, It is determined that it is necessary to describe P. eryngii and its similarities with the identification of scientific facts as species, subspecies, variety, taxa or synonym in our country. yaşamımızın vazgeçilmez bir parçası olan sebze ve meyvelerin yanısıra, mantarların önemlerinin de belirtilmesinde yarar olacağı görüşündeyiz. Mantarların; tıbbi özellikleri, besinsel içerikleri ve etkin besleyici özelliklerinin açığa çıkarılması yararlı olacaktır. Ayrıca, P. eryngii ve benzer varyetelerinin ülkemizde tür, alt tür, varyete, taksa ya da sinonim olarak bilimsel doğru teşhis ve tanımlanmasının gerekli olduğu saptanmıştır. Manzi, P., Gambelli, L., Marconi, S., Vivanti, V., Pizzoferrato, L., Nutrients in Edible Mushrooms: An Inter-species Comparative Study, Food Chemistry, 65, 1999, 477-482. Lincoof, H. G. L. The Audubon Society Field Guide to North American Mushrooms. Chanticleer Press, New York. 1988. Manzi, P., Pizzoferrato, L., Beta Glucans in Edible Mushrooms, Food Chem., 68, 2000, 315-318. 4. Southgate, A. T., Waldron, K., Johnson, I. T., Fenwich, G. R., Dietary Fibre: Chemical and Biological Aspects., Royal Society of Chemistry, Special Publication No 83. 1990. Cheung, P. C. K., Functional Properties of Edible Mushrooms, Journal of Nutrition, 128, 1998, 1512-1516. Rajarathnam, S., Shashirekha, M. N., Banu, Z. Biodegradative and Biosynthetic Capaticies of Mushrooms: Present and Future Strategies. Critical Reviews in Biotechnology, 18(2/3), 1998, 91-236. Bobek, P., Ozdyn, L., Kuniak, L. The Effect of Oyster (Pleurotus ostreatus) Its Ethanolic Extract and Extraction Residues on Cholesterol Levels in Serum Lipoproteins and Liver of Rat, Nahrung, 39, 1995, 98-99. Bobek, P., Galbavy, S. Hypocholesterolemic and Anti-atherogenic Effect of Oyster Mushroom (Pleurotus ostreatus) in Rabbit, Nahrung, 43, 1999, 339-342. Ying, J. Z., Mao, X. L., Ma, Q. M., Zong, Y. C., Wen, H. A. Icons of Medicinal Fungi from China (Transl. Xu, Y. H.), Science Press, Beijing, 1987. Jong, S. C., Donovick, R. Antitumour and Antiviral Substances from Fungi. Advences in Applied Microbiology, 34, 1989, 183-262. Paulik, S., Svrcek, S., Huska, M., Moizisova, J., Durove, A., Benishek, Z. The Effect of Fungal and Yeast Glucan and Levamisole on the Level of the Cellular Immune Response In vivo and Leukocyte Phagocytic Activity in Mice, Vet. Med., 37, 1992, 675-685. Karacsonyi, S., Kuniak, L. Polysaccharides of Pleurotus ostreatus: Isolation and Structure of Pleuran, an Alkali-insoluble Beta-D Glucan. Carbohydr. Polym., 24, 1994, 107-111. 13. Gunde-Cimerman, N., Cimerman, A. Pleurotus Fruiting Bodies Contain the Inhibitor of 3-hydroxy-3-methylglutaril Coenzyme A Reductase-Lovastatin. Exp. Mycol., 19, 1995, 1-6. Wasser, S. P., Weis A. L. Therapeutic Effects of Substances Occurring in Higher Basidiomycetes Mushrooms: A modern Perspective, Crit. Rev. Immunol., 19, 1999a, 65–96. Wasser, S. P., Weis A. L., General Description of the Most Important Medicinal Higher Basidiomycetes Mushrooms, Int. J. Med. Mushroom., 1, 1999b, 351–370. Wang, H., Gao, J., Ng, T. B., A new Lectin with Highly Potent Anti-hepatoma and Anti-sarcoma Activities from the Oyster Mushroom Pleurotus ostreatus, Biochem. Biophys. Res. Commun., 275, 2000, 810–816. Bonatti, M., Karnopp, P., Soares, H. M., Furlan, S. A., Evaluation of Pleurotus ostreatus and Pleurotus sajor-caju Nutritional Characteristics When Cultivated in Different Lignocellulosic Wastes, Food Chemistry, 88, 2004, 425-428. Cohen, R., Persky, L., Hadar, Y., Biotechnological Applications and Potential of Wood-Degrading Mushrooms of The Genus Pleurotus, Appl. Microbiol. Biotechnol., 58, 2002, 582-594. Price, M. S., Classen, J. J., Payne, G. A., Aspergillus niger Absorbs Copper and Zinc from Swine Wastewater, Bioresource Technol., 77, 2001, 41-49. Kurtzman, R. H. Jr., Mushrooms; Single Cell Protein Cellulose, Ann. Rep. Ferment. Process, 3, 1981, 305-399. Zadrazil, F., In Degradation of Lignocellulose in Ruminants and Industrial Process, (ed. J. M. van der Meer, B. A. Rijkans and M. P. Ferrati), Elsevier Applied Science, London, pp. 55-72, 1987. Turkekul, I., Elmastas, M., Tüzen, M., Determination of Iron, Copper Manganese, Zinc, Lead and Cadmium in Mushroom Samples from Tokat, Turkey., Food Chem., 84, 2004, 389-392. Manzi, P., Aguzzi, A., Pizzoferrato, L., Nutritional Value of Mushrooms Widely Consumed in Italy, Food Chemistry, 73, 2001, 321-325. Diez, V. A., Alvarez, A., Compositional and Nutritional Studies on Two Wild Edible Mushrooms from Northwest Spain, Food Chemistry, 75, 2001, 417-422. Ragunathan, R., Gurusamy, R., Palaniswamy, M., Swaminathan, K., Cultivation of Pleurotus spp. on Various Agro-residues. Food Chem., 55, 1996, 139-144. Mattila, P., Konko, K., Eurola, M., Pihlava, J. M., Astola, J., Vahteristo, L., Hietaniemi, V., Kumpulainen, J., Valtonen, M., Piironen, V., Contents of Vitamins, Mineral Elements and Some Phenolic Compounds in Cultivated Mushrooms, Journal of Agricultural and Food Chemistry, 49, 2001, 2343-2348. Sanmee, R., Dell, B., Lumyong, P., Izumori, K., Lumyong, S., Nutritive Value of Popular Wild Edible Mushrooms from Northern Thailand. Food Chem., 2003, 82, 527- 532. Manzi, P., Marconi, S., Aguzzi, A., Pizzoferrato, L., Commercial Mushrooms: Nutritional Quality and Effect of Cooking, Food Chem., 84, 2004, 201 206. Mau, J. L., Lin, Y. P., Chen, P. T., Wu, Y. H., Peng, J. T., Flavor Compounds in King Oyster Mushrooms Pleurotus eryngii, J. Agric. Food Chem., 46, 1998, 4587-4591. Ragunathan, R., Swaminathan, K., Nutritional Status of Pleurotus spp. Growing on Various Agro-wastes, Food Chem., 80, 2003, 371-375. Granetti, B., Effetto Stimolante Dell Acida Ferulico Sulla Crescita In vitro del Micelio di Alcuni di Ceppi di P. eryngii (DC ex Fr.) Quel., P. ferulae (Lanzi), P. nebrodensis (Inz.) Quel. Annali Fac. Agr. Univ. Perugia, Vol XLI., 1987, 889-907. Granetti, B., La fruttificazione del pleuroti delle ombrellifere in prezenza di acido ferulico. Le ombrellifere: ricerche ed applicazioni, ATTI, Assisi, 1988, pp. 71-77. Antonielli, M., Granetti, B., Pocceschi, N., Lupatelli, M. Venanzi, G., Indagini Preliminari Sulla Crescita del micelio di Pleurotus eryngii (Fr. ex. D.C.) Quelet var. ferulae Lanzi in Presenza di Alcuni Estratti di Ferula communis L. Annali Fac. Agr. Univ. Perugia, Vol XL., 1986, 161-172. Laessoe, T., Conte, A.D., Lincoff, G. The Mushroom Book. DK publishing, New York, 1996, p. 78. Urbanelli, S., Fanelli, C., Fabbri, Aa., Rosa, Vd., Maddau, L., Marras, F., Reverberi, M., Molecular genetic analiysis of two taxa of the Pleurotus eryngii complex: P. eryngii (DC. Fr.) Quel. var. eryngii and P. eryngii (DC. Fr.) Quel. var. ferulae., Biological Journal of The Linnean Society, 75, 2002, 125-136. Urbanelli, S., Rosa, VD., Fanelli, C., Fabbri, AA., Reverberi, M. Genetic diversity and population structure of the Italian fungi belonging to the taxa Pleurotus eryngii (DC. Fr.) Quel. and P. ferulae (DC. Fr.) Quel. Heredity, 90, 2003, 253-259. Gücin, F., Elazığ İli Sınırları İçinde Yetişen Bazı Makrofunguslar Üzerinde Taksonomik Bir Araştırma, Doktora Tezi, Ege Üniv. Fen Fak. Biyoloji Bölümü, Bornova, İzmir, 1983. Alan, R., Yenilen ve Zehirli Şapkalı Mantarların Tanınması, Atatürk Üniv. Ziraat Fakültesi Dergisi, 8 (2-3), 1977, 109-120. Öder, N., 1980. Halkın Faydalandığı Bazı Önemli Yenen Mantarlar, VII. Bilim Kongresi, TÜBİTAK Matematik, Fiziki ve Biyolojik Bilimler Araştırma Grubu Tebliğleri, Biyoloji Seksiyonu, Kuşadası-Aydın, 1980, s. 785-798. Işiloğlu, M., 1987. Malatya İli ve Çevresinde Yetişen Yenen ve Zehirli Mantarlar Üzerine Taksonomik Bir Araştırma, Yüksek Lisans Tezi, Selçuk Üniv. Fen Bilimleri Enstitüsü, 1987. 42. Öder, N., 1988. Konya Merkez ve Bazı İlçelerinde Yetişen Önemli Yenen- ZehirliMantarlar Üzerinde Taksonomik Bir Araştırma, Selçuk Üniversitesi Fen Edebiyat Fakültesi Fen Dergisi, 8, 1988, 237-257. Ertan, Ö. S., Eğirdir Civarında Tespit Edilen Bazı Şapkalı Mantarlar, Fırat Üniversitesi, XI. Ulusal Biyoloji Kongresi, 24-27 Haziran 1992, Elazığ, Botanik, s. 149-161. Demirel, K., Van Yöresi Makrofungusları, Tr. J. of Botany, 20, 1996, 165-169. Afyon, A. Isparta Yöresinde Belirlenen Bazı Makroskobik Mantarlar, Tr. J. of Botany, 20, 1996-a , 161-164. Afyon, A., Konya (Meram-Selçuklu) Civarında Belirlenen Makroskobik Mantarlar, Tr. J. of Botany, 20, 1996-b, 259-262. Afyon, A., Makrofungi of Beyşehir District, Tr. J. of Botany, 20, 1996-c, 527- 530. Kaya, A., Contributions to the Makrofungi Flora of Bitlis Province, Turk J. of Botany, 25, 2001, 379-383. Demirel, K., Uzun, Y., Kaya, A., Macrofungi of Ağrı Province, Turk J. Bot., 26, 2002, 291-295. 50. Demirel, K., Kaya, A., Uzun, Y., Makrofungi of Erzurum Province, Turk J. of Botany, 27, 2003, 29-36. Kaşik, G., Öztürk, C., Türkoğlu, A., Doğan, H. H., 2003. Macrofungi of Yahyalı (Kayseri) Province, Turk J. Bot., 27, 2003, 453-462. 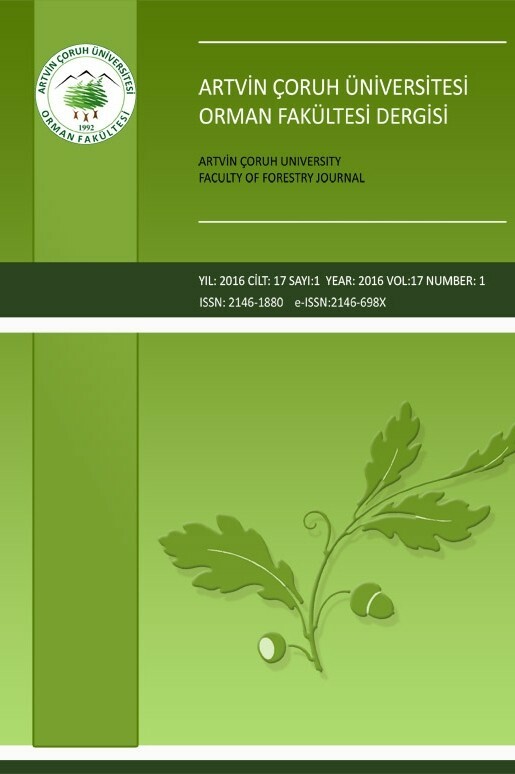 Ersel, F. Y., Solak, M. H., Contributions to the Macrofungi of İzmir Province, Turk J. Bot., 28, 2004, 487-490. Kaya, A., Macrofungi Determined in Gölbaşı (Adıyaman) District, Turk J. Bot., 29, 2005, 45-50. Akyüz, M., Sellülozik Atıkların Pleurotus eryngii (DC. ex Fr.) Quel’in Kültüründe Değerlendirilebilme Olanaklarının Araştırılması, Yüksek Lisans Tezi, Dicle Üniv. Fen Bilimleri Enstitüsü, 48s, 2005. Türkoğlu, A. Gezer, K., Hacer ormanı (Kayseri)’nın Makrofungusları, 15 (59), 2006, 43-48. Demir, S., Demirel, K., Uzun, Y. Batman Yöresinin Makrofungusları. Ekoloji, 16 (64), 2007, 37-42. Uzun, Y., Atalan, E., Keles, A., Demirel, K. Pleurotus eryngii (Dc. ex Fr.) Quel. ve Agrocybe cylindracea (DC. Fr.) Maire. Makrofunguslarının Antimikrobiyal Aktivitesi. Mimar Sinan Güzel Sanatlar Üniversitesi, Fen Edebiyat Fakültesi Dergisi, 4, 2004, 125-133. ISNAD Akyüz, Mehmet , Kırbağ, Sevda . "ALTERNATIVE NOURISHMENT BESIDE VEGETABLE AND FRUIT IN OUR COUNTRY SOURCE: WILD MUSHROOM (Pleurotus eryngii var. ferulae)". Artvin Çoruh Üniversitesi Orman Fakültesi Dergisi 8 / 1 (March 2011): 26-36.